Emiko's husband is the shy and thoughtful Kosuke Niwa. He married into the Niwa family and adopted the surname; he himself is not a Niwa male. He knows a lot about magic and had journeyed often, hence he has not seen his son for many, many years. When he finally returned, he gave Daisuke a Rutile which lets him absorb all the damage received by Dark. He is currently searching for the secrets between the Hikari and the Niwa family. He is very serious when he needs to be, but generally he seems clumsy, exactly like his son. He is easily embarrassed by his wife, Emiko, and her antics. 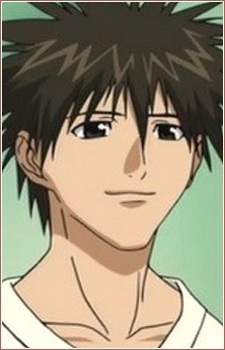 Kosuke was also one of the few characters who arrived late into the series and his true surname is unknown.